First off, can you tell us about the historical grounds for the opposition between these two types of ships? At the dawn of the era of aircraft carriers, namely the second decade of the 20th century, battleships were the symbol of a fleet’s might. Their number was a pure illustration of the power that seafaring nations possessed. Naval aviation was an auxiliary tool back then, with reconnaissance and correction of ship salvos being its general purposes. Later on in the 1920s and ’30s, the leading maritime countries initiated active experiments in aviation’s role in sea affairs. They were supposed to use aircraft carriers not only as support units, but to deal with damaged enemy vessels. But when the tests surprisingly revealed how good they were at operations, it was decided to include them as organizational units. Essentially, all this complex evolution — from support ships up to the core of any fleet squadron — will be reflected in our tech tree and surely affect overall gameplay. For example, battleships will be true “kings” for low-tier battles. 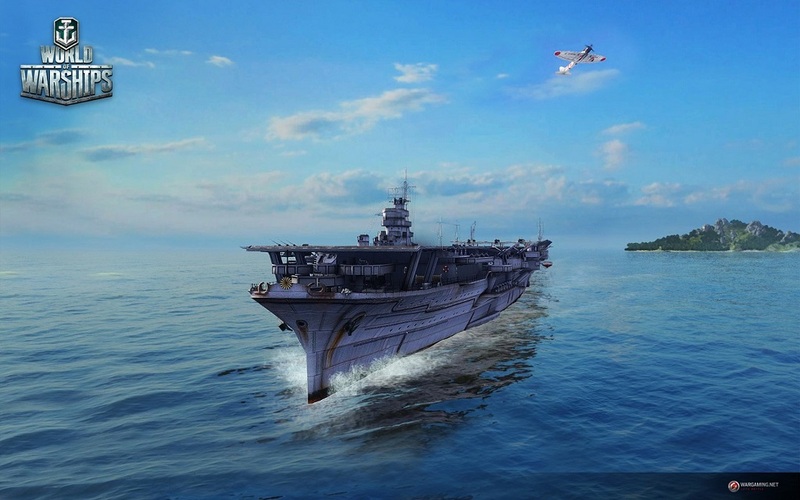 The aircraft carrier tree will start with early seaplane carriers ,whose attacks may be easily repelled by the AAA sites of most battleships. Further on, things are getting different and starting from tiers VII and VIII, these ships may fight head-to-head. Getting a bit higher, tier IX and X players will see that carriers there have an edge over battleships. Their hangars will embed several dozens of attack aircrafts that are deadly enough (if operated properly) to drown a casual battleship. OK, so what ships may players use to counter them at higher tiers? During WWII, they introduced “AAA arrangement” — moving in a certain formation with wisely distributed firing sectors, where all the ships cover each other from aerial attacks. No wonder such an “umbrella” was hard to penetrate for any sort of aircraft. The battle near Rabaul on November 5, 1943 is a good example. That day, a well-organized attack of Japanese planes bogged down, facing a shield of explosions covering US ships. The fire was so dense that it caused a premature aerial detonation of the bomb flying towards the deck of USS Independence. This type of defense implies a complicated tactical interaction of naval groups. So, if at the early stages, ships tend to be more independent from one another, the later stages are known more for wise communication between all team members, that defines battle outcome rather than individual features of each vessel afloat. So, say a well-balanced group of two aircraft carriers and three to four battleships, coupled by cruisers and destroyers, will leave no chances to a team equipped solely with Yamato battleships. Generally, the main edge of aircraft carriers compared to battleships is their ability to use aviation from distances exceeding any reasonable range of cannon or torpedo fire. The average firing distance for a battleship is about 40km, with much to be desired regarding its accuracy, whereas an aircraft carrier may launch its “wasps” from hundreds of kilometers. This Thursday, February 13, we will continue our conversation about winning tactics for battleship vs. carrier battles. 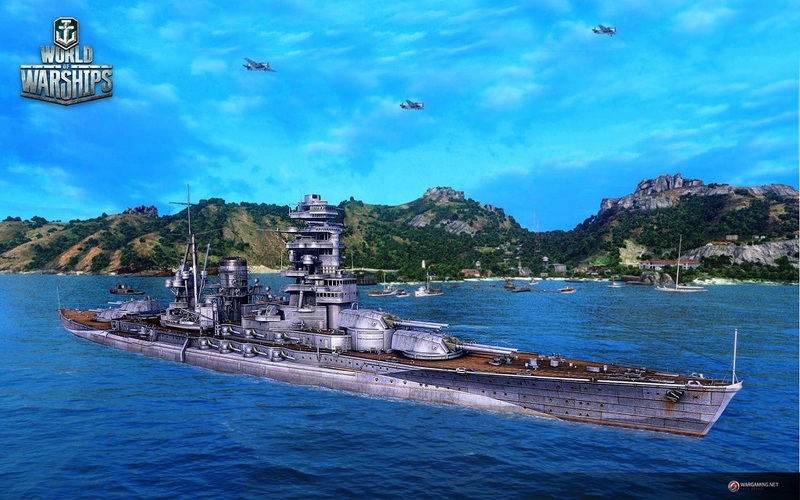 World of Warships: Is it easy to be a battleship?